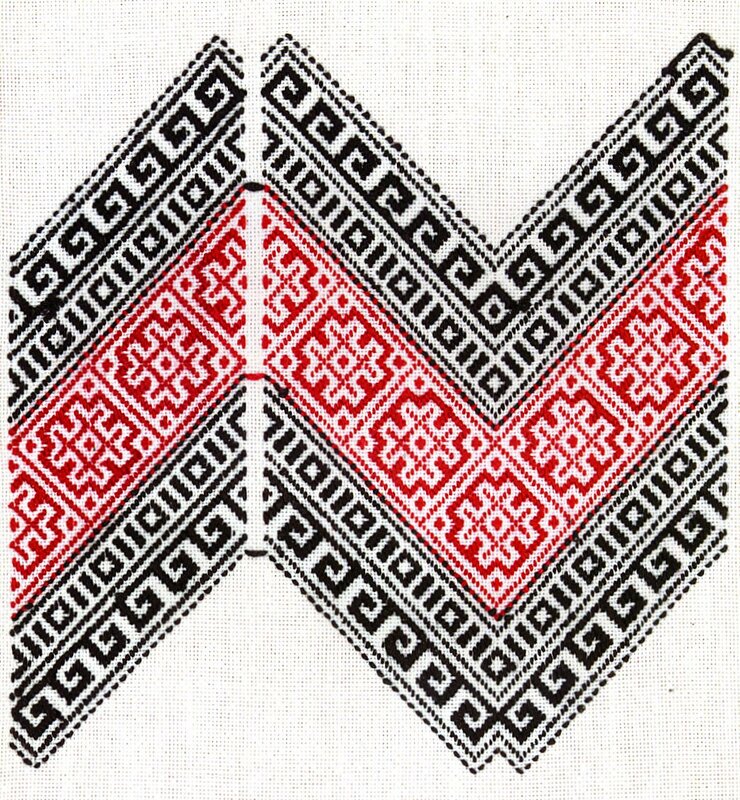 Today I will talk about another type of embroidery from Eastern Podillia, specifically the southern parts of Khmel'nytska and Vinnytsia oblasts. 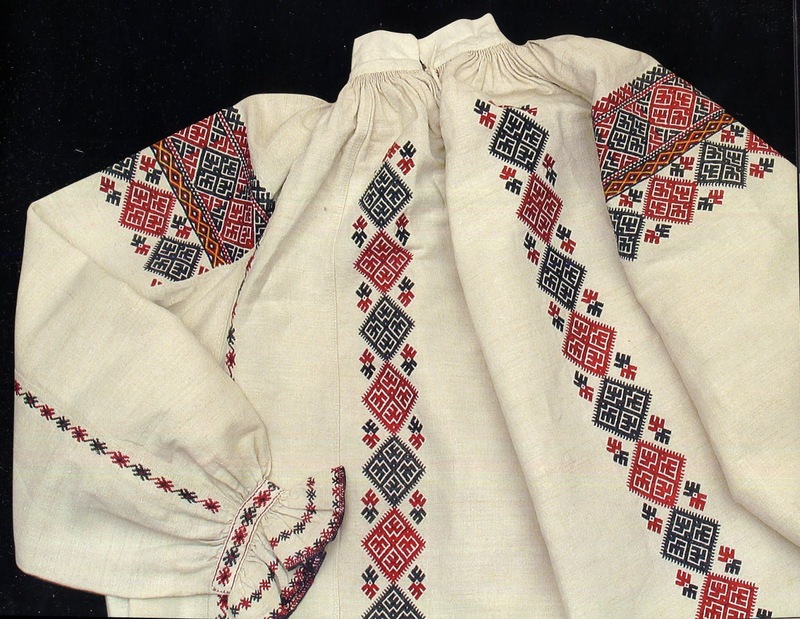 This is called Nyz, which in Ukrainian means below, and is traditionally worked on the wrong side of the cloth. 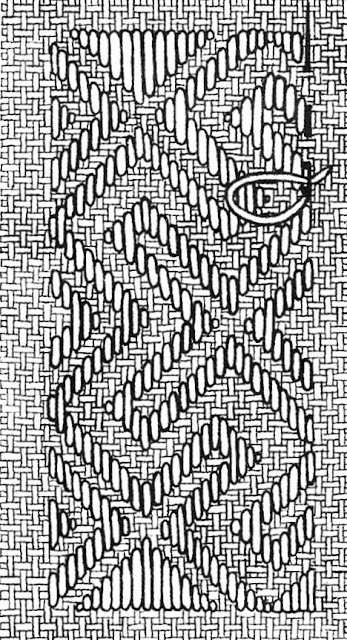 In English this is generally known as Darning Stitch. This is related to the Hutsul style of embroidery which is called Nyzynka, but is not as developed. This general technique is very old, which is attested to by its wide distribution, being found in Norway, Spain, Romania, Dalmatia, Voronezh, southeast Asia, and many spots in between, as well as in Podillia. In Eastern Podillia this type of embroidery is usually done in black, as in the above example. 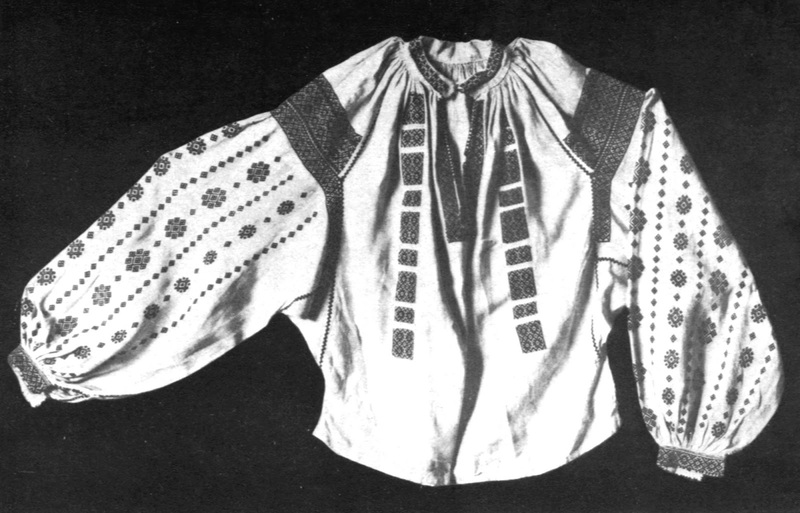 These three photos are of the same chemise, the three part canon of the general region being visible on the sleeves: a wide band on the shoulder piece, a second narrower band on top of the sleeve, this often is of a contrasting color or texture, and then vertical or diagonal stripes down the lower sleeve. 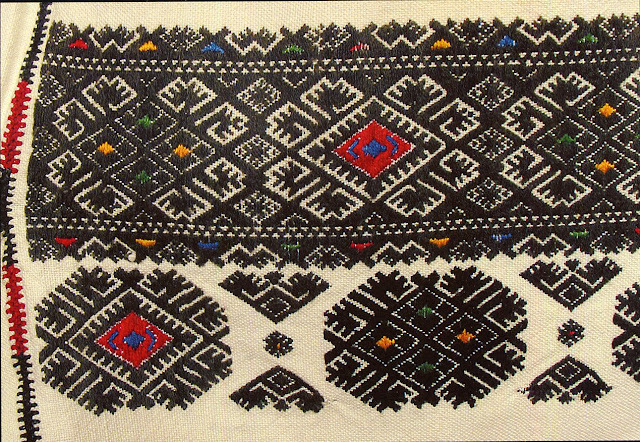 This arrangement is found in Podillia, Pokuttia, and Bukovyna, as well as in Bessarabia, Moldova, and parts of Romania. 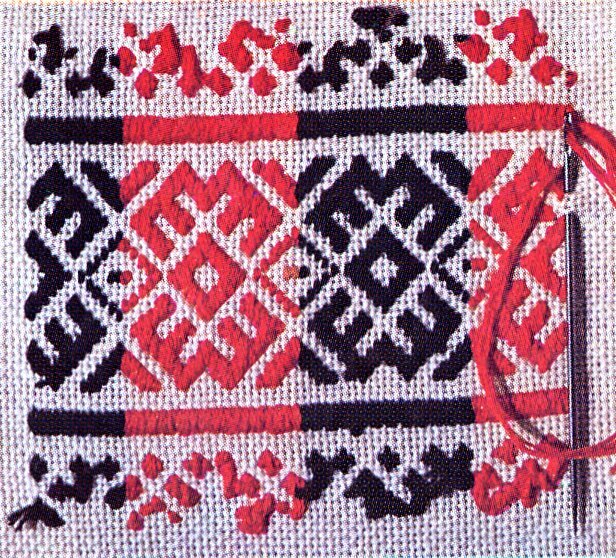 This stitch is worked by running a thread crosswise across the entire width of the design, running under and over 1 to 5 threads at at time. 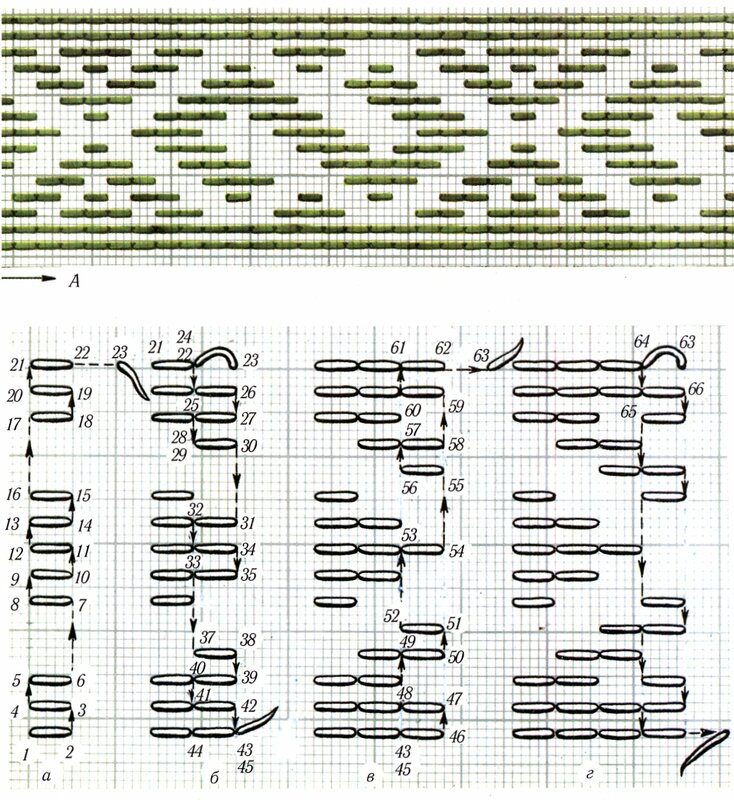 This results in the clean diagonal lines which are the hallmark of this technique. An even number of threads is only taken when running into a horizontal edge. 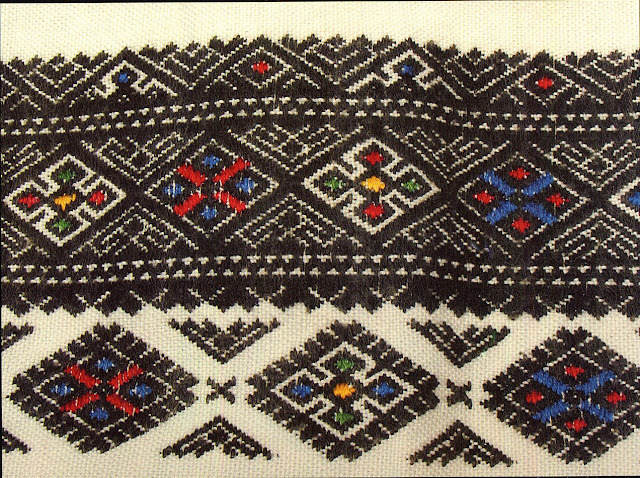 7or more threads are rarely taken, as then the surface thread is too long. This can result in a very elegant overall design. Here you can see the narrow design on the collar, a narrow design around the front opening just visible at left, a wide stripe down the front and a horizontal design on the shoulder inset. There is also a design below the shoulder seam, which is narrower, and is broken in the center of the sleeve to allow some gathers to be put in. 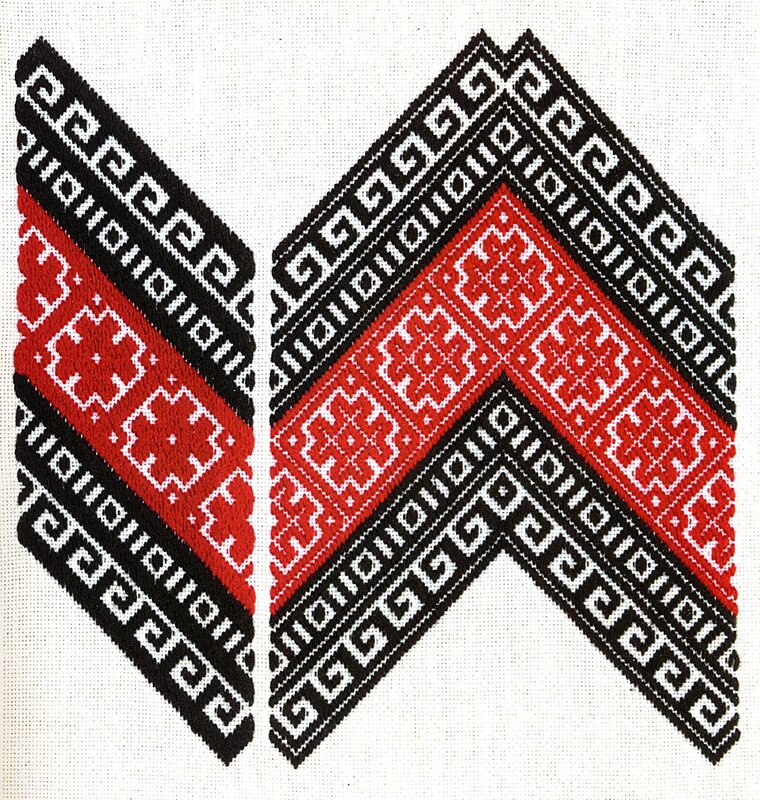 Sometimes the black design is broken up with red, often in stripes which go all the way across the design. 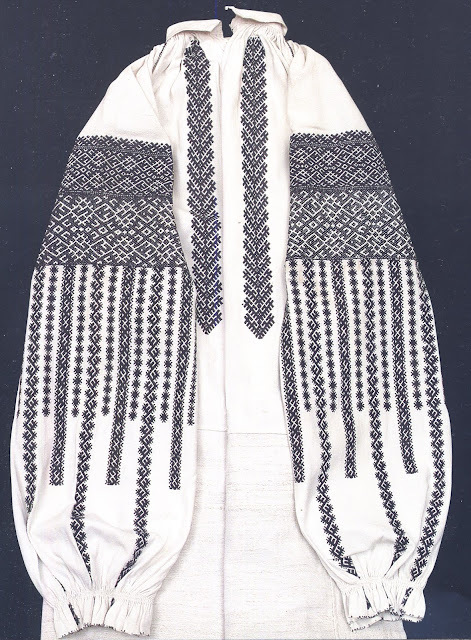 Here is an example, shown first from the front, and then from the back. 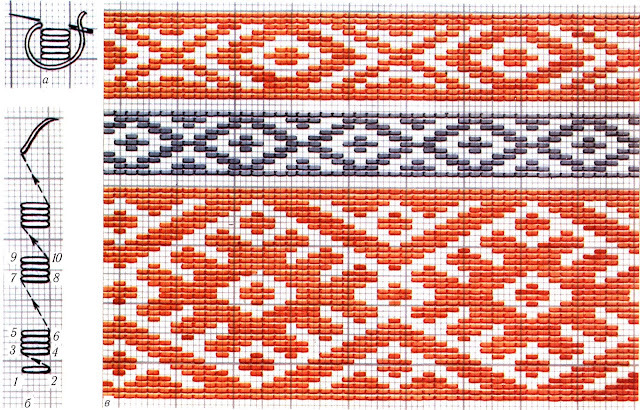 Variations on this are possible.This is a piece which I embroidered on a sampler to try the technique. You will notice on this piece that there actually is no collar. 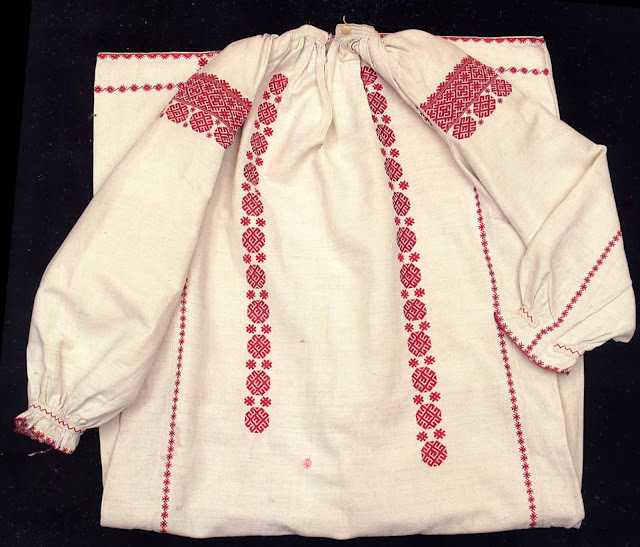 The top edges of the body pieces and the sleeves are either hemmed or selvages, then are smock-gathered with strong linen threads to the desired dimension. 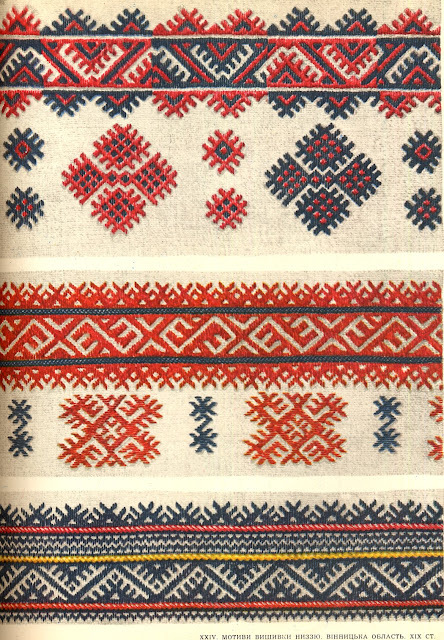 Then a narrow design is embroidered with running stitches over and under the 'tubes'. 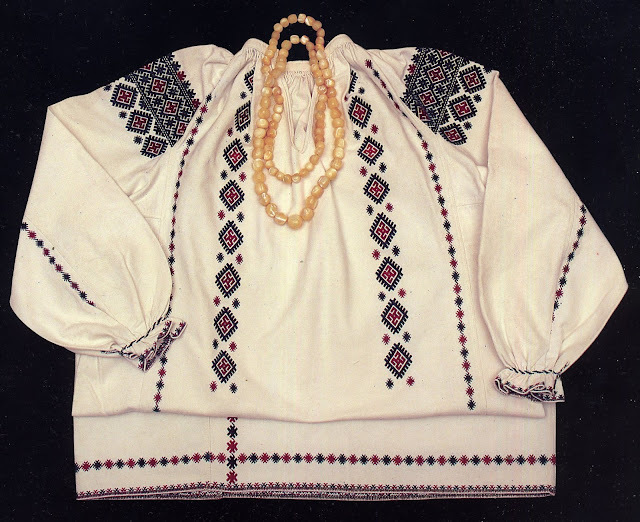 This variation of neckline is widespread in southwestern Ukraine, but is not common. Sometimes the color composition is a bit more complex. 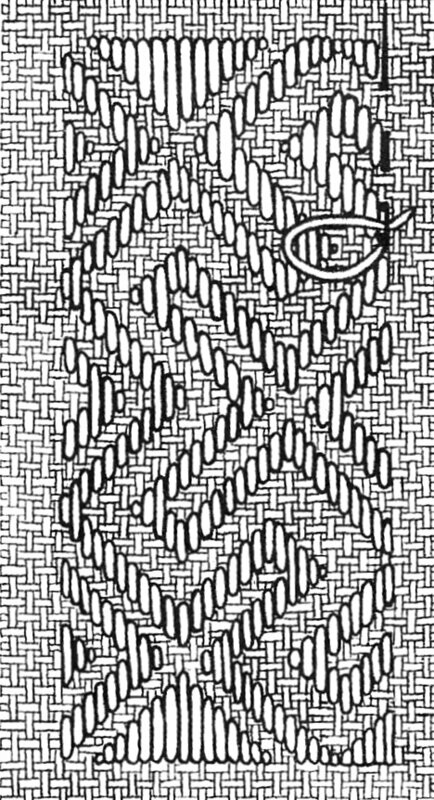 When a thick strong line is desired for the composition, there are two choices, both of which are visible here above and below. You can go over three threads, under one, and then over another three, which results in a very fine white line in the middle of a wide colored one. 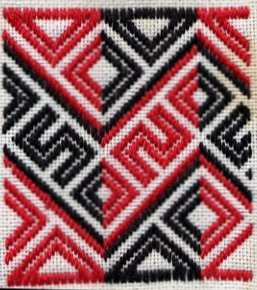 The other option is to go over 4 threads, then take a backstitch under one thread, and continue forward over for another 4. This also results in a wide line over 7 threads, but instead of a thin white line there is a bit of a groove down the center of the line. 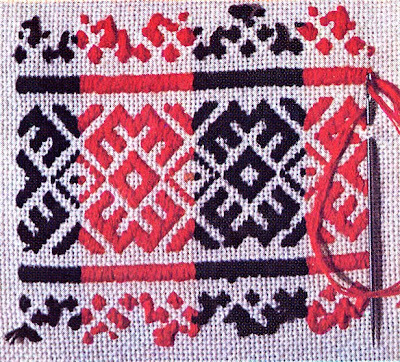 You can see the result of the backstitched nyz in the red line framing the center motif above, and the other technique in the rest of the design. Here is a design done both ways so that you can see the difference. On the back side, the backstich is visible, so it looks the same either way. The horizontal gap in the embroidery may be left open, or it may be filled in with braid or herringbone stitch. 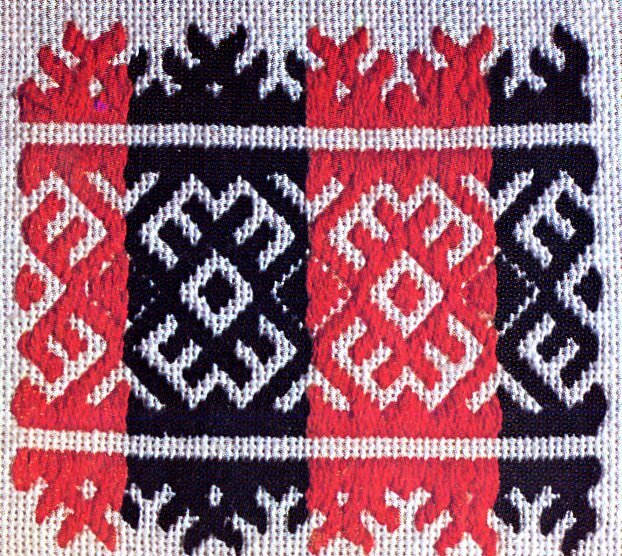 The embroidery can also be all in red. 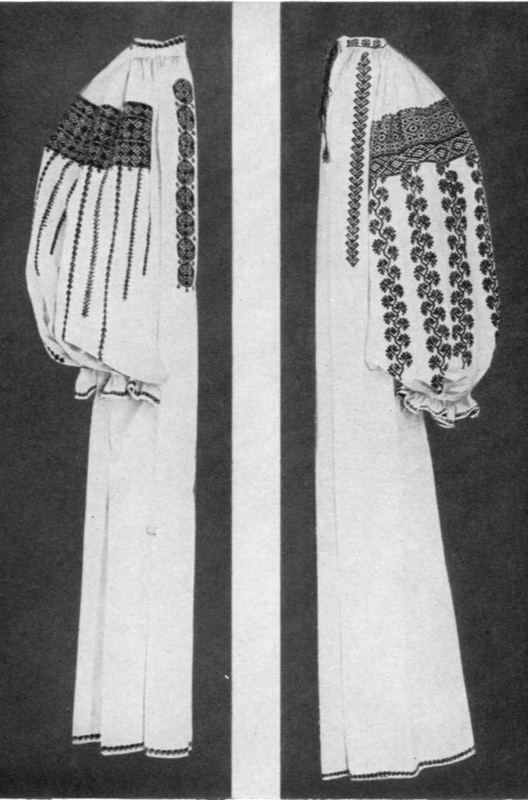 You will notice that while the chemise at the top of the article has sleeves gathered into narrow wristbands, this piece has the sleeve ends gathered a short distance from the ends, forming frills on the wrists. 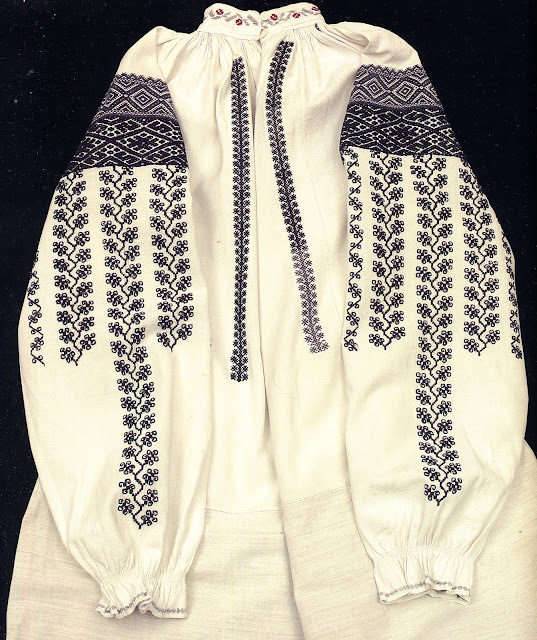 Another noteworthy detail is that while the chemise at the top of the article has a separate shoulder inset, this chemise is cut with the sleeves and inset as one piece. 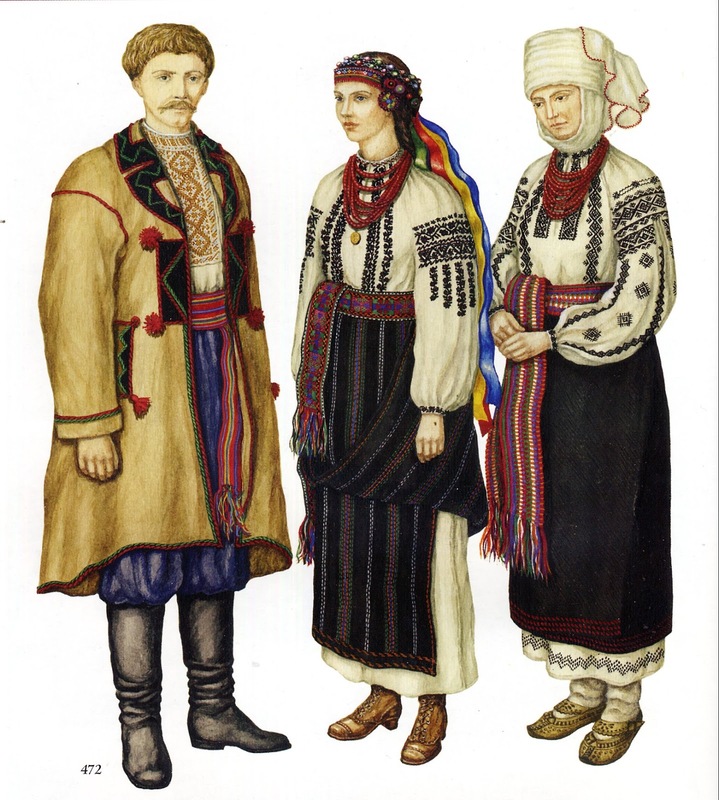 Here the stripes on the lower sleeve have been omitted, and a row of isolated motifs takes the place of the second band. The red used may be of various shades. Here is another example of the three part canon all in black. The top and bottom parts are embroidered with nyz, but the second part is worked in a different texture using the same design. 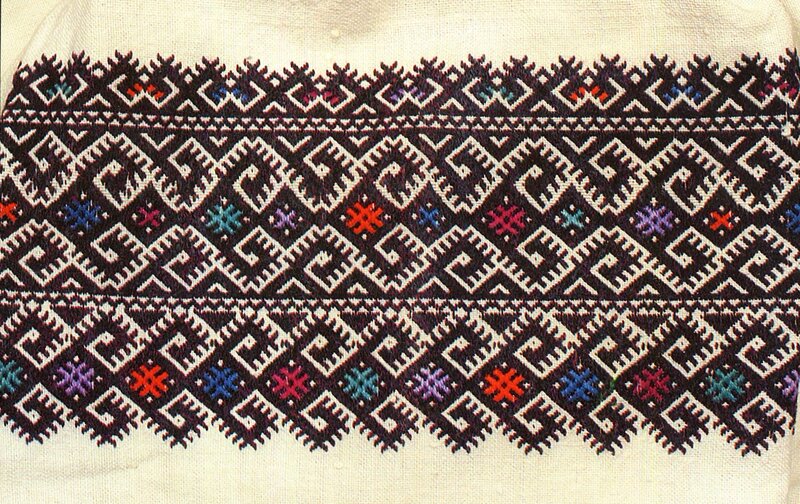 This stitch is called by several names, one of which is kafasor. This is very commonly used for this second, contrasting band, but is very rare otherwise. 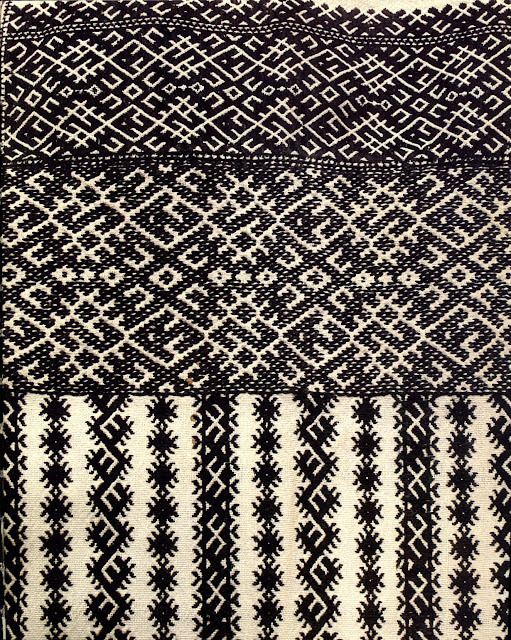 Most often it is worked in a contrasting color, but in this region is sometimes done in black, the only contrast being in texture. This technique consists of laying horizontal satin stitches across two or more threads, then continuing in columns, leaving gaps which form the design. 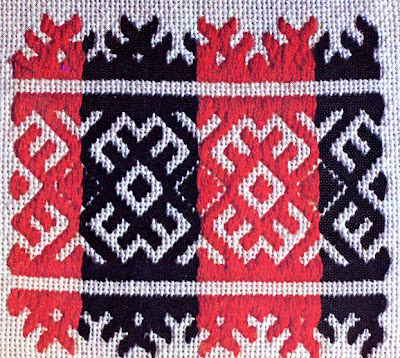 These stitches may all be laid in the same direction, as here, or they may alternate direction. This necessitates skipping one or more threads in between, and so results in a more open design. this also tends to pull alternate stitches in opposite directions, which I believe is the case here. 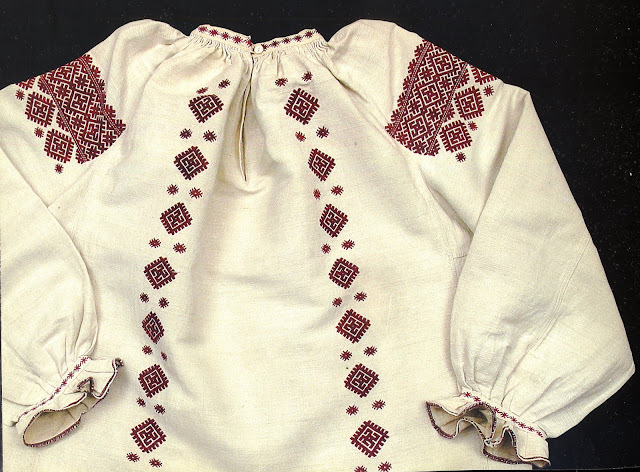 A closeup of the same chemise. 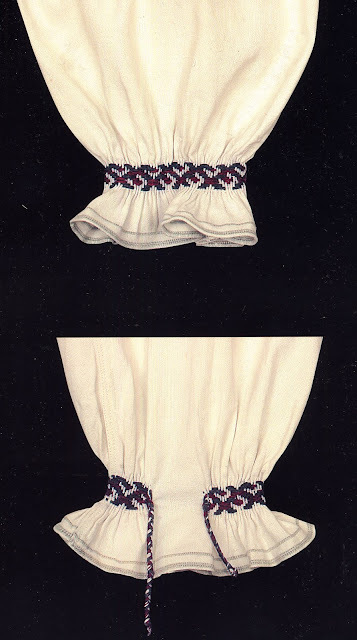 Here is another chemise which uses this technique, in this case the bottom stripes are worked in a combination of cross stitch and holbein stitch. Here are a couple more examples. 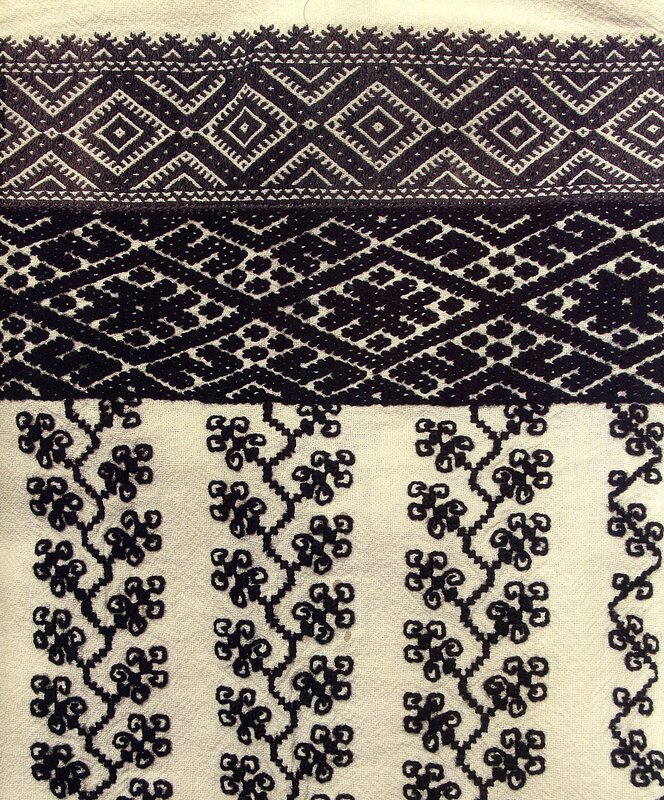 As elegant as the all black embroidery is, sometimes there is a desire to use other colors for accent. Or even make them a major part of the design. 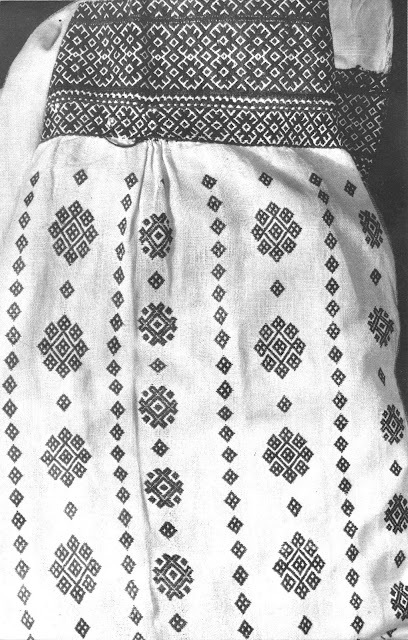 The chemise in this region is worn with a heavy wool wrap around skirt in the shape of a plain rectangle. 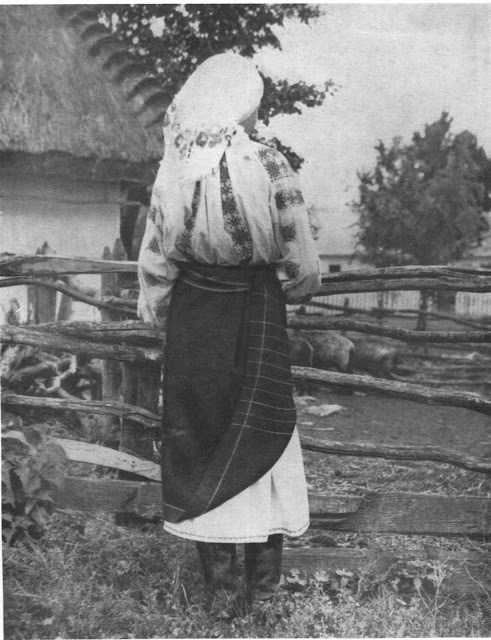 This is called obhortka or opynka, and is held in place with a sash. A lower corner may be tucked up for ease of movement. On some of the chemises the lower hem is embroidered, so that means that they were meant to be seen below the overskirt, others do not. Thank you for reading, I hope that you have found this interesting and maybe inspiring. 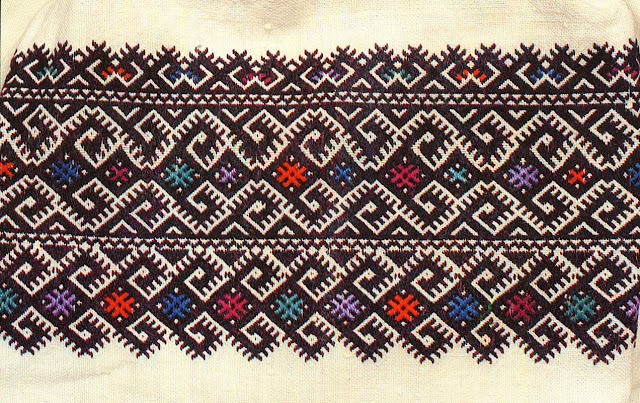 This technique could be used for interesting projects, owning a piece of old Podillia. Теплої вам весни і нових цікавих знахідок. Excellent! Yet another technique I want to take up some day, such beautiful garments! Дякую! Вперше потрапила на Ваш блог, і Ви подарували мені справжнє піднесення. У Вас дивовижна подача матеріалу: ясність схем закликає до втілення, можна брати і робити, а їх розмаїття надихає бігти купувати нитки і братись за втілення. Текст теж чудовий: компактний, все по суті. 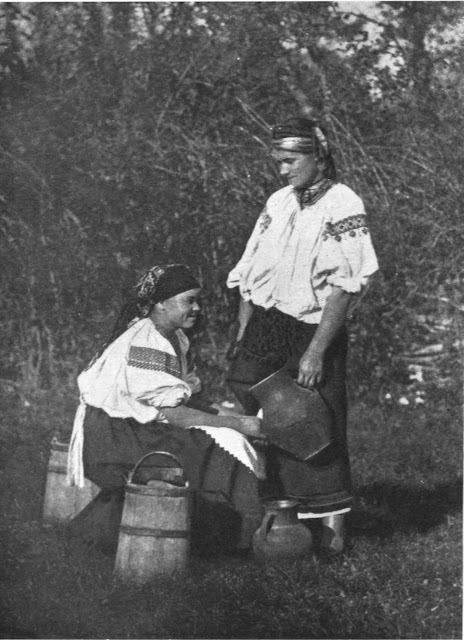 Дякую, що даруєте натхнення! The making process of embroidery design is fantastic.I like the all embroidery designs shirts and costumes in this blog.Really fantastic work. Dyakuyu! Thanks for the wonderful blog postings. 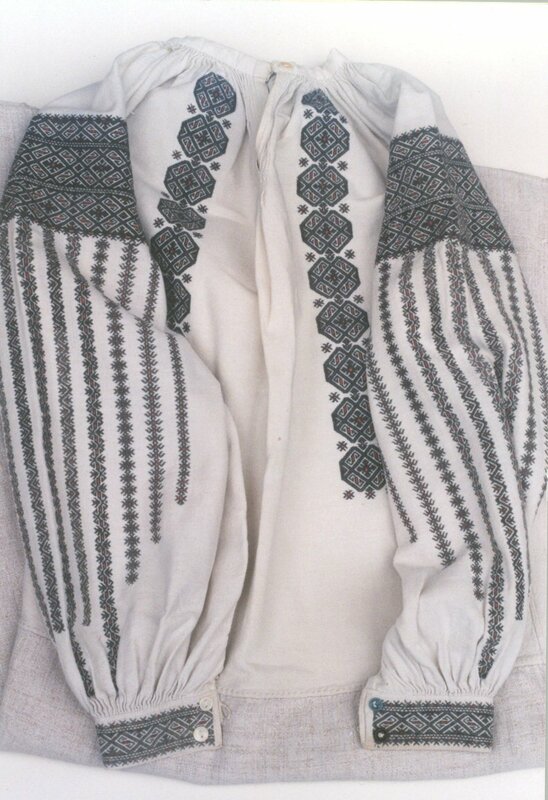 I also do embroidery and have tried to learn traditional ways that most people don't employ anymore... would love to connect with you. 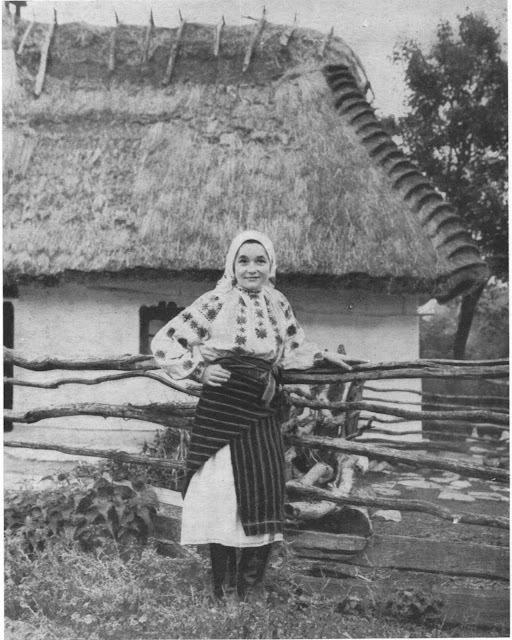 So many questions regarding techniques, sourcing of materials, preparation, etc. Where are you located? 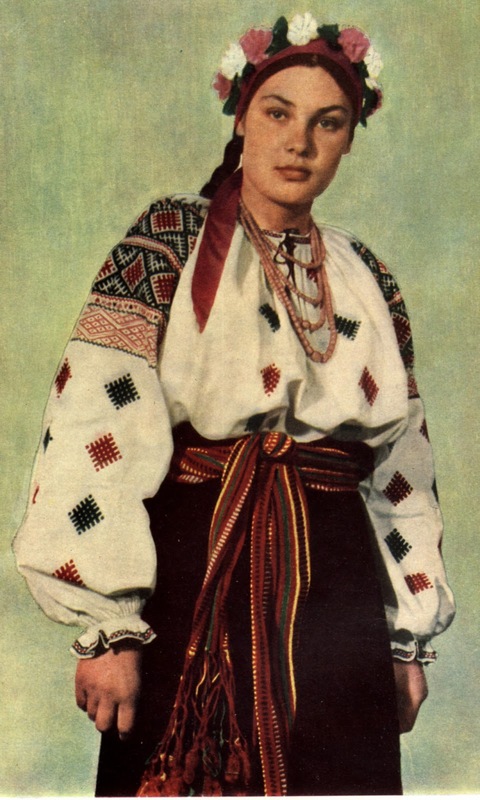 I am glad to hear that there are people keeping these beautiful traditions alive. Roman, thank you so much for your blog. 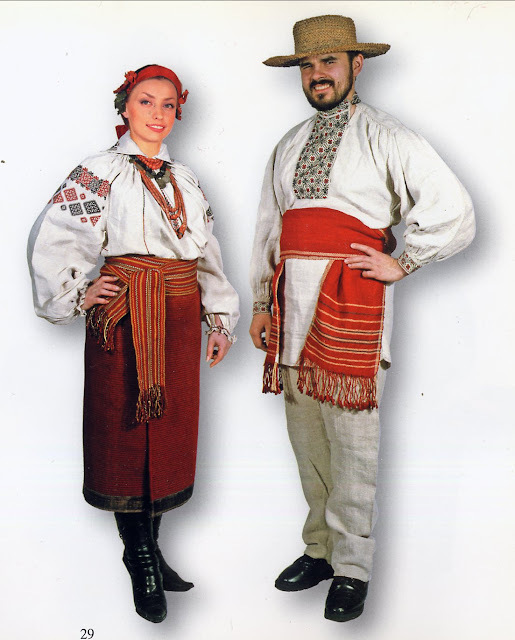 I'm an American Romanian and have been trying to figure out the mystery behind our folk costumes and have had such a hard time demystifying the technique for the hand sewn garments. Thanks for providing a lot of information.